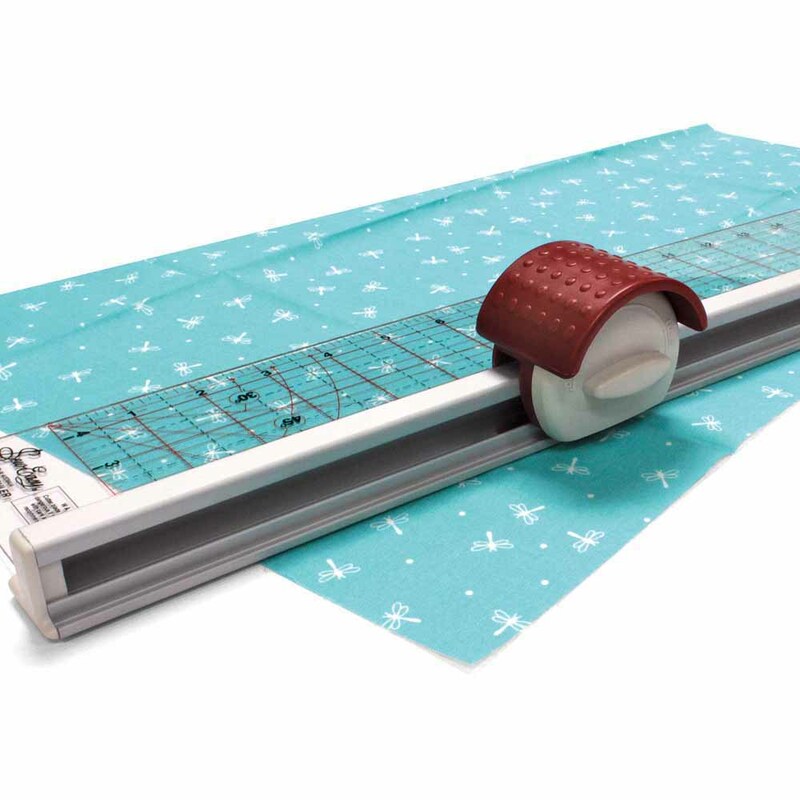 The Sew Easy Ruler/Cutter is 41⁄2” x 271⁄2” - long enough to cut across a standard bolt of quilter’s fabric. Cuts up to 6 layers of quilting type fabric, or 12 sheets of paper. 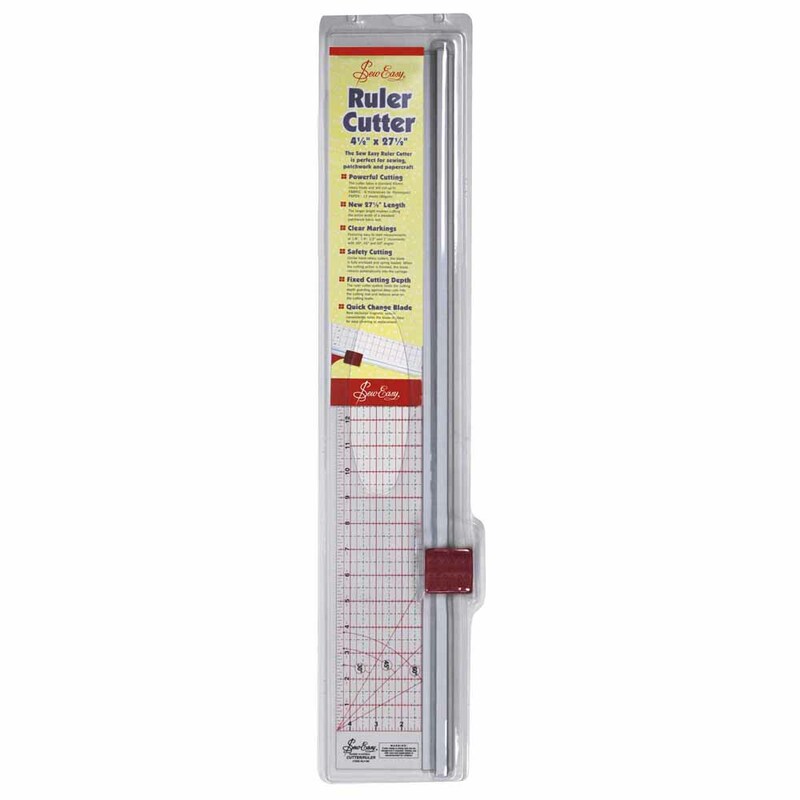 Easy to read, 1/8”, 1/4”, 1/2”, and 1” markings as well as 30°, 45° and 60° angles. For safety, only the edge of blade is exposed during cutting, and blade retracts when not in use. 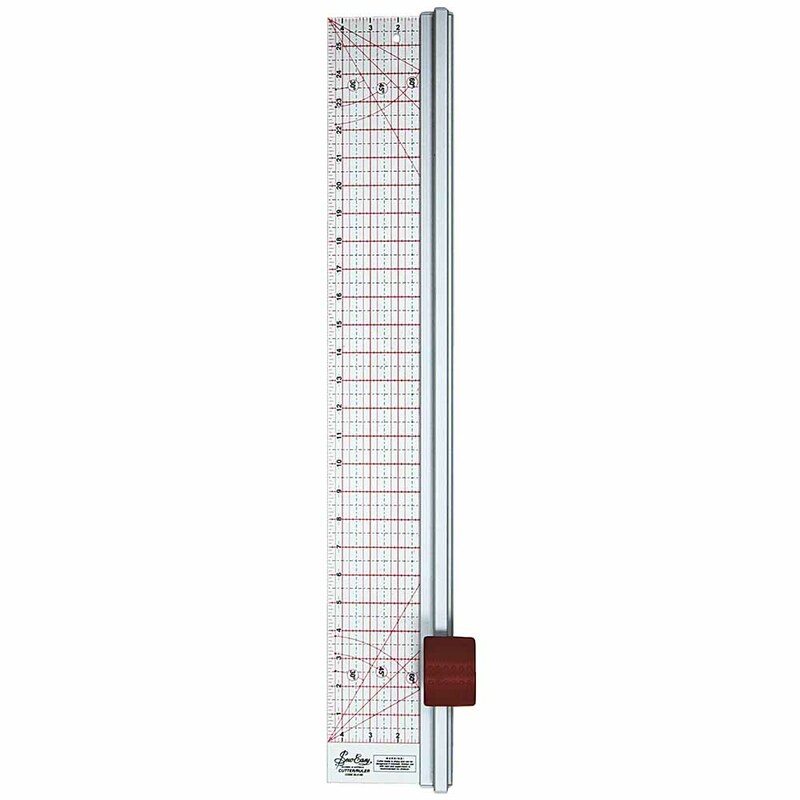 Ideal for use when strip piecing. Left or right handed use. Fixed cutting depth guards against deep cuts into the mat, and reduces wear on the blade. Uses standard 45 mm rotary blade.